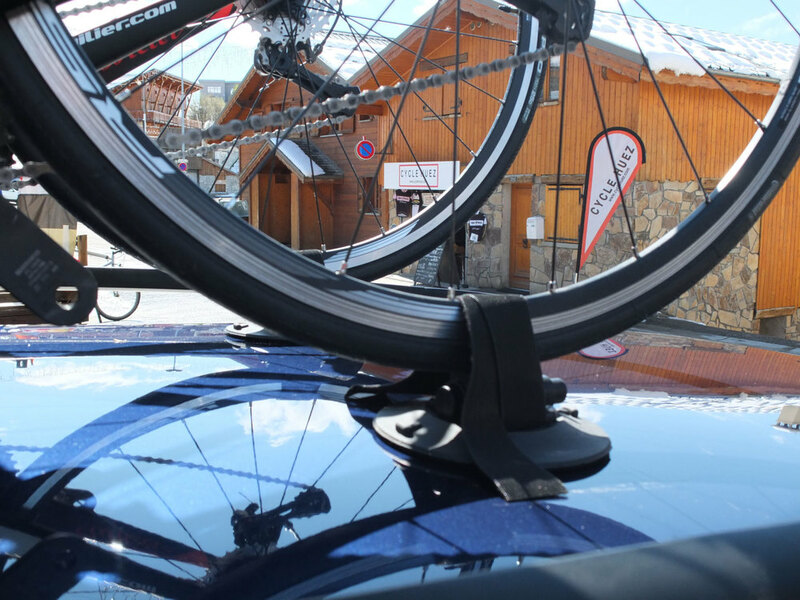 We offer a range of 'Seasucker' car racks that will attach to any car or van and carry between 1 and 3 bikes. These racks operate using high power vacuum suction cups to affix the rack to the roof or the back of a vehicle and offer an amazingly secure, quick and convenient solution to people who have rented cars at the airport or who don't have enough space in the car for passengers and bikes. More information can be found on the Seasucker website - www.seasucker.com . We charge 10 euro per day for all the racks and you can reserve by contacting us by email at info@cyclehuez.com, or through the contact form CLICK HERE.